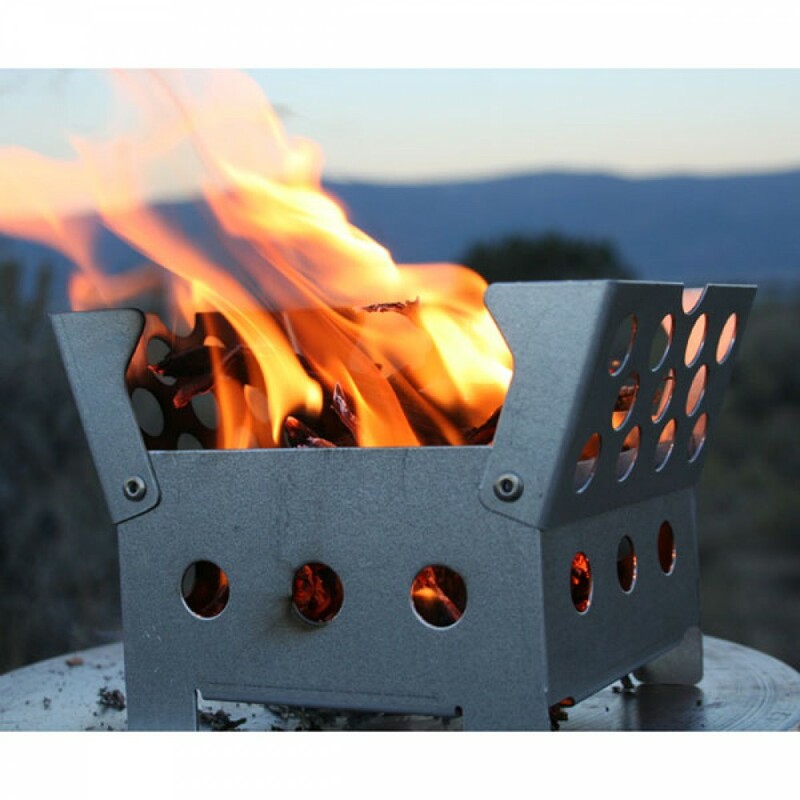 The QuickStove CUBE Stove can use any type of fuel including, wood, charcoal, Sterno cans, Eco Bricks, QuickStove Discs or whatever you have available. 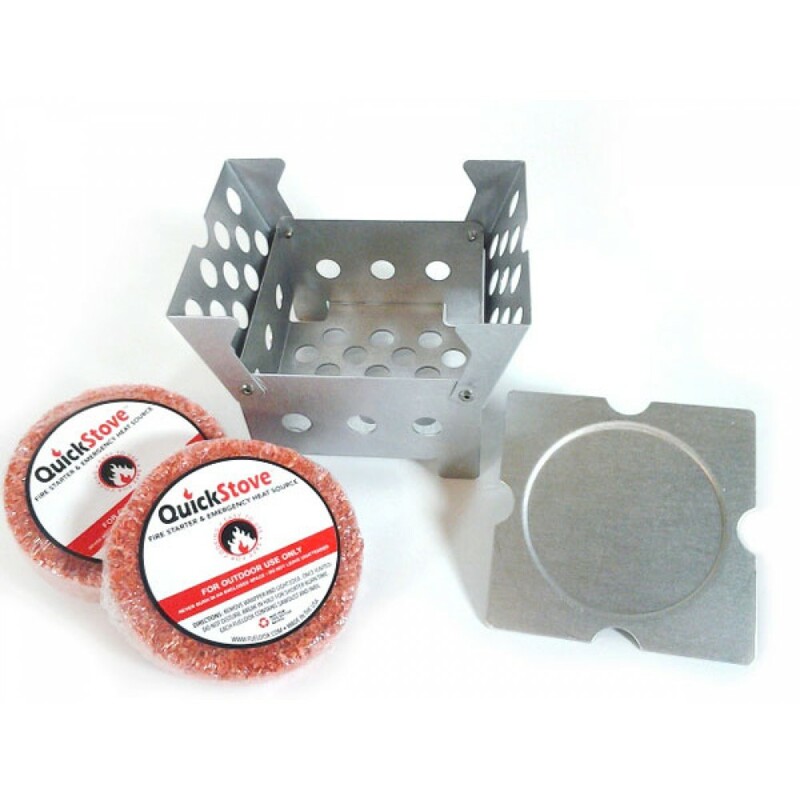 At only $24.99 the QuickStove Cube Stove will give you years of reliable service at a fraction of the cost of other camp stoves. Reusable, light-weight stove (weighs less than 1 pound). 7 cooking positions. No assembly. Includes 2 fire starters. Great for camping or emergencies. Manufactured in the USA. Kni-Co Mfg. Alaskan Camp Stove Standard Pkg. Kni-Co Mfg. Alaskan Camp Stove Deluxe Pkg.